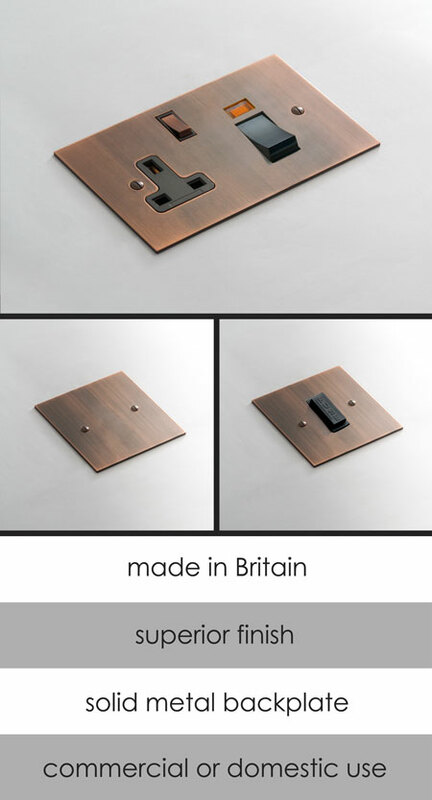 A designer collection of sundry electrical sockets and switches with solid metal backplates in a brushed copper finish. These luxury household sockets are a stylish addition to designer interiors. We also offer matching electrical fittings including cookers switches, TVs, telephone and satellite sockets, plus data and points and fuse spurs. * Cooker switch supplied on a single plate. * Shaver socket (dual voltage). * Other fittings available on request.